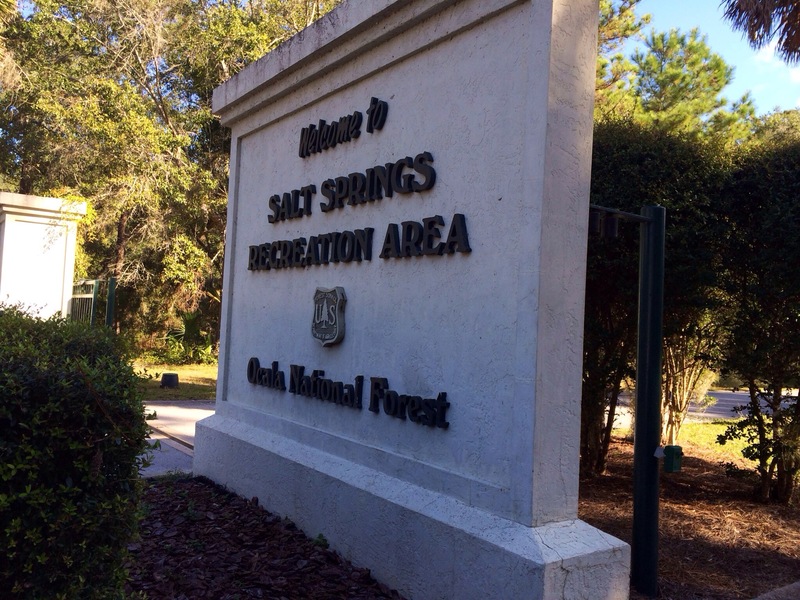 Going to Salt Springs Recreation Area in Ocala National Forest, the adventure had begun with a friend’s email for ideas on travel for Veteran’s Day. After agreeing to a sketch of locations the night before, I had fired up my car’s ignition heading out to locations familiar and unknown. Of the many springs in Central Florida, I had skirted with perimeter of this area before with the Salt Springs Observation Trail; however, I had yet to encounter one of the most photogenic spring heads in the state. After visiting Wildcat Lake Park, we had headed up US 40. After turning onto Florida Highway 19, about a mile up the road, an adult brown bear and her two cubs had decided to cross the road from the right. We had slowed down in attempting to capture photographic evidence of this passing encounter. In retrospect, probably better the bears had all darted back into the woods of Ocala National Forest. With the enticing smell of peanut butter from my center console plus cubs, wild bears had provided the potential for unpredictable behavior. After reaching the town of Salt Springs, I had noticed the signage for Salt Springs Observation Trail. On that trail, I had seen numerous trees with the bark ripped from their sides. The memories of this unkempt trail had reinforced my earlier thoughts on the bear encounter. These magnificent creatures, though cute, had demanded respect with distance, less encounter misfortune. 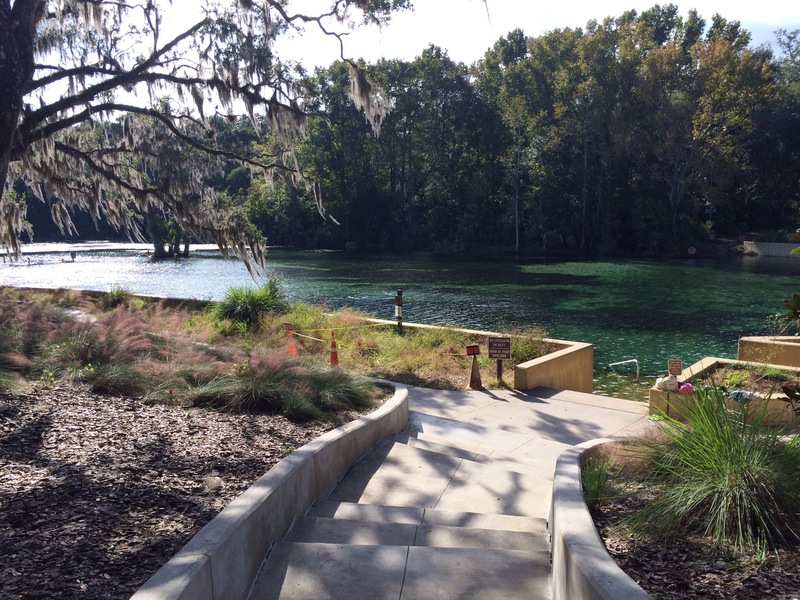 On the north side of the town, the entrance for Salt Springs Recreation Area had appeared on the right. Heading into the park, we had wondered if any Federal workers might be around because of the free admission on Veteran’s day. At the gate, a park ranger had greeted us reiterating policy of no pets and no alcohol handing us a parking permit. 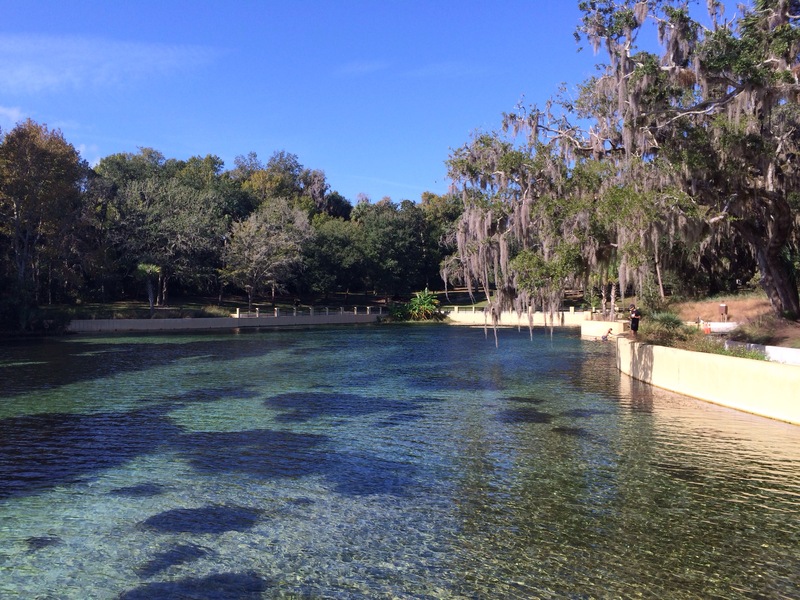 Driving forward, we both had wondered if they might know, ”How salty were the springs waters?” At the end of Salt Springs Observation Trail, the odor of brackish waters were quite overwhelming coming off the downstream waterway. 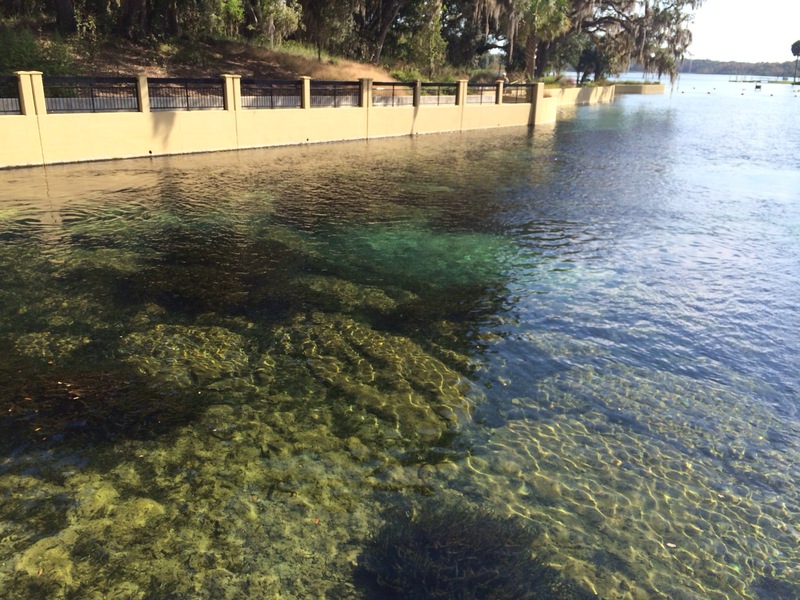 After parking, we had scouted the enclosed swimming area with multiple boils. The first color that had popped out looking into the springs heads, a golden yellow tint of some of the rocks. Thereafter, something unexpected had transpired. Flying fish had shot into the air, making quite a ruckus with splashing sounds. Ironically, while trying to document this activity, the fish had stopped their activity, almost on cue. Following this inactivity, they had jumped out of the waters, always seeming to avoid our two cameras. Finally, after some patience, I had caught at least two glimpses on my iPhone. 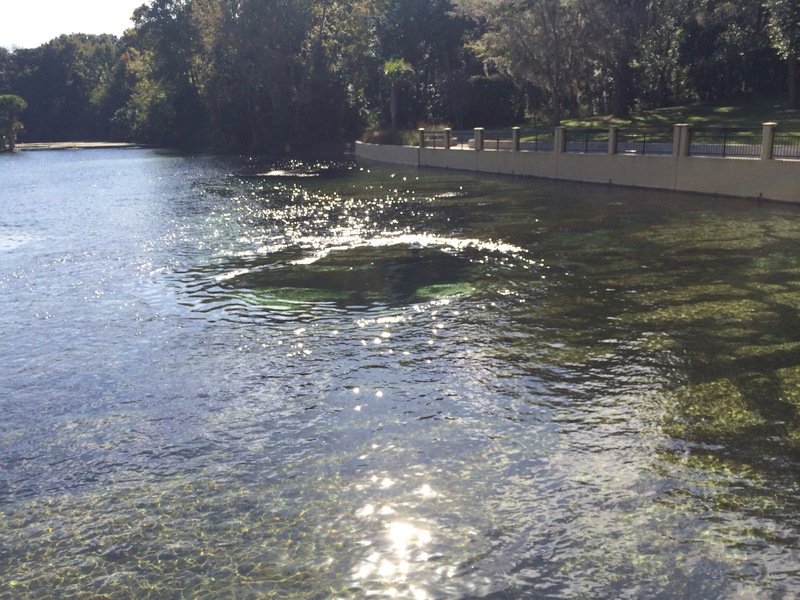 After switching gears, we had entered the waters of Salt Springs. My buddy had decided to try on his new fins, snorkel, booties and mask. I had opted for picking up more swim time with my goggles. In the waters, the flying fish had appeared to be large mullet with no predator in pursuit. 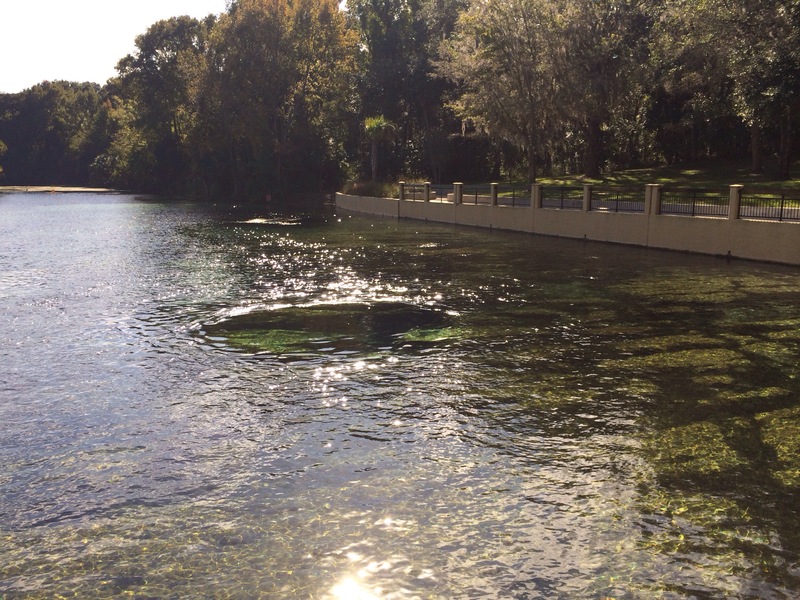 They moved around the underwater vegetation and spring openings with ease. Swimming to the multiple boils, each had a distinct depth, shape and current. 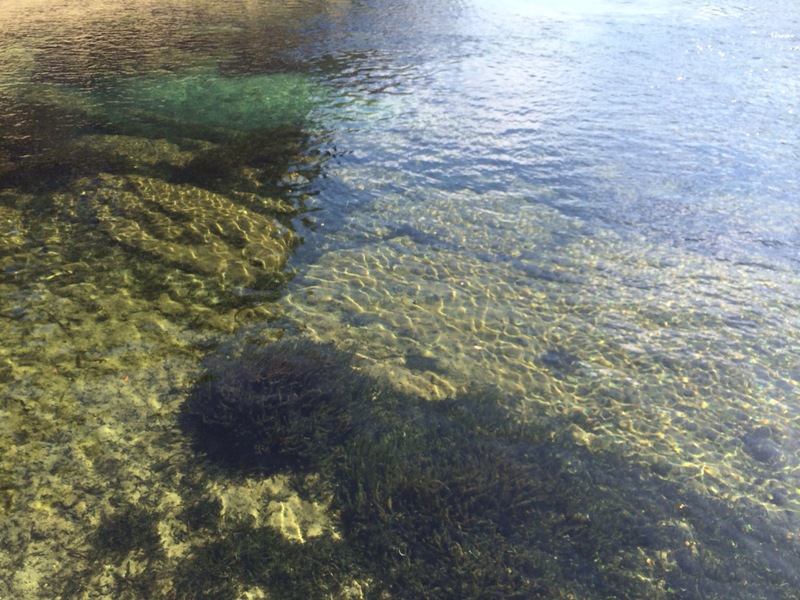 The shallow yellow tinted rocks had provided quick and easy access to each boil, even for a novice swimmer. For a holiday, the park had remained fairly devoid of any foot traffic, less an elderly couple. After moving through the perimeter of the enclosed swimming area, we had opted to leave early, making time for our final destination of Silver Glen Springs. At the end of our excursion, we had answered the question regarding the briny nature of the spring head. The waters that day, despite the name, had provided a faint salty aftertaste. 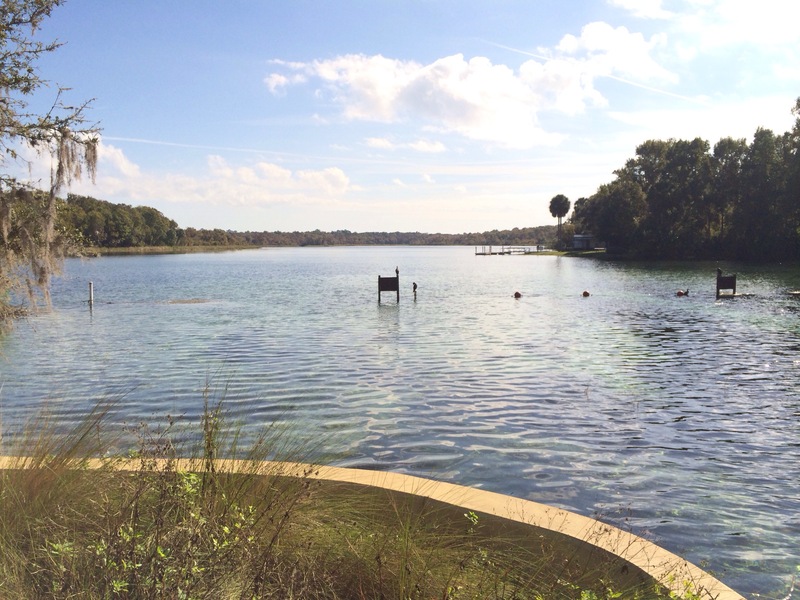 If you hadn’t visited this tranquil Florida backdrop, get out there! 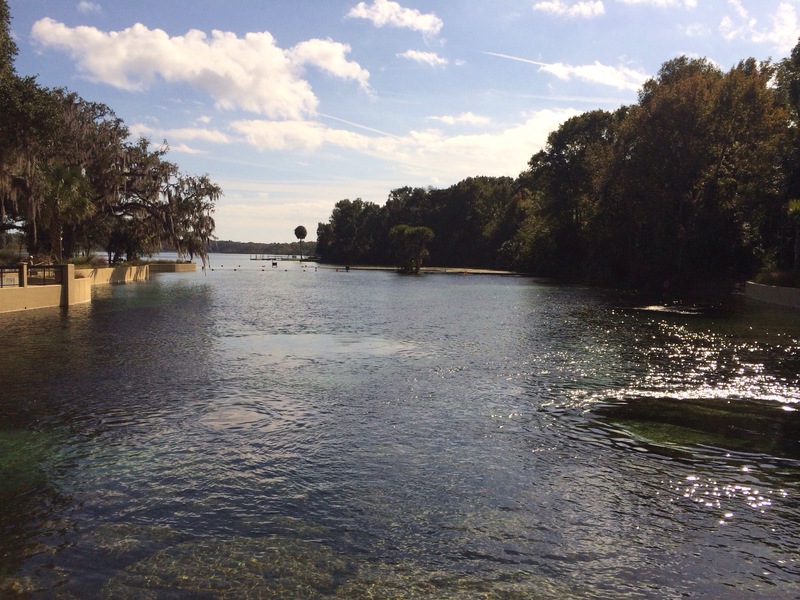 This entry was posted in Central Florida, Travel and tagged Florida, Fresh Water Springs, Jumping Fish, Ocala National Forest, Salt Springs, Swimming. Bookmark the permalink.